The Adults with Incapacity (Scotland) Act protects vulnerable adults who lack the capacity to take some or all decisions for themselves because of a mental disorder or an inability to communicate. We recognise that managing the affairs of a loved one with incapacity can be a complex and stressful time. 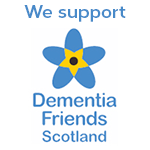 Our aim is to provide practical support and solutions to address the needs of the vulnerable adult. 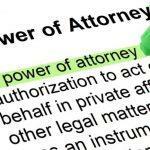 We assist with power of attorney for people who are legally capable, and give advice on guardianships for those who are not. We have unrivalled expertise in reviewing the whole family situation. We work with you to put in place the best arrangements. Each individual has a unique set of family and personal circumstances and at TC Young we give practical advice tailored to your personal needs. Our team has considerable experience providing legal advice in the field of vulnerable adults and Adult Incapacity Law. Our partner, Alison Hempsey, is a member of the Law Society of Scotland’s Mental Health and Disability sub-committee. In addition to working with individuals we also provide advice and information to carers, lawyers and the medical profession.